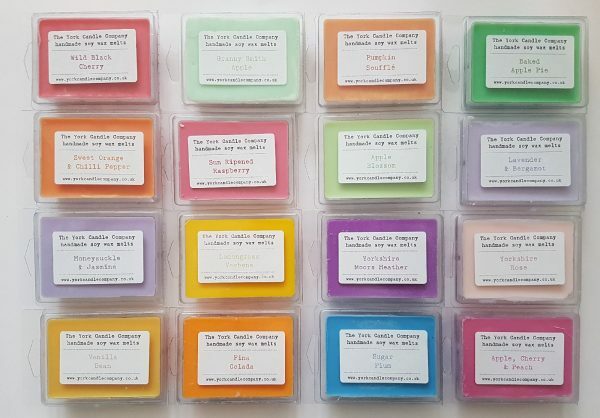 Fragranced soy wax melt bars for use with oil burners. Each bar has 6 segments each of which will produce fragrance when burnt for approx. 6-8 hours and each bar weighs approx. 100g. 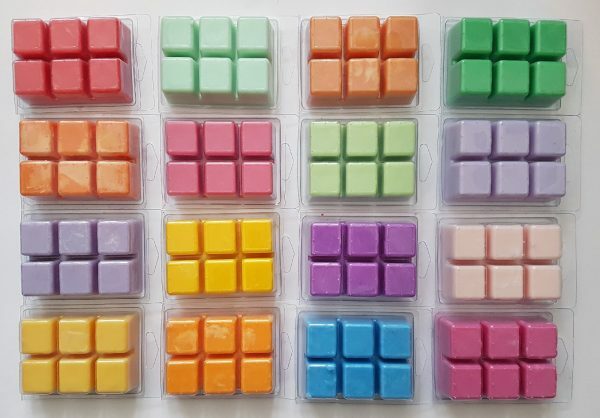 Fabulous melts! Have tried lots of different ones. Current favourites Sugar Plum and Pina colada! My next ones will be all the lovely Christmas ones! Got some of the pumpkin souffle today and they smell amazing! Can smell them everywhere in the flat. Best melts I have tried. These are just amazing. Best melts I have ever used! I currently have one sat in my burner and even when it’s off you can smell it! Great product well done guys! Now burning Parisian spring melts! Love it! We bought some melts on our last visit to york, they are completely amazing and smell so strong when burning, couldn’t recommend them more!